Elizabeth Hammill has spent a large part of her life selling and promoting books by children’s authors and illustrators and now comes one with her own name on the cover. It’s a real beauty. 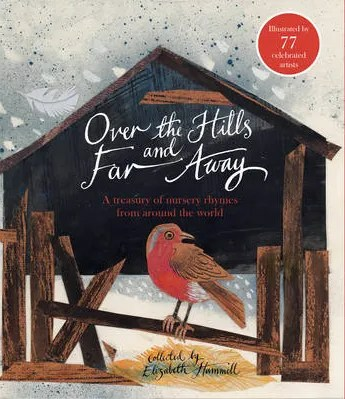 Over the Hills and Far Away is a treasury of nursery rhymes from around the world. It is also a glorious showcase for the talents of 77 – yes, that’s 77 – illustrators. via Elizabeth Hammill’s labour of love finally makes the book shops – The Journal.